Queenstown Airport Corporation (QAC) has long been paving the way for evening flights, but despite holding resource consent to operate from 6am until 10pm, until now infrastructure has only supported daylight operations. Queenstown Airport now has a very clear roadmap of the technology, infrastructure and operational steps required to make evening flights happen. 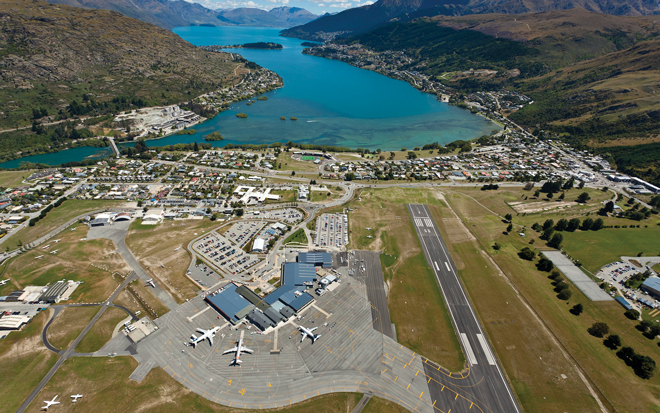 Queenstown Airport is the fastest growing airport in Australasia, with passenger numbers reaching 1.5 million in the 12 months to December 2015, up 14% on the previous year and representing yet another annual record. Domestic passenger numbers alone tallied over one million for the first time in airport history. Queenstown Airport – which acts as a main trunk airport (with the others traditionally being Auckland, Wellington and Christchurch) – recorded almost 50,000 aircraft movements in 2015 which is a 28% increase over the last five years. This is a significantly steeper growth than has been experienced by any other New Zealand airport. There is a high demand for direct trans-Tasman services, particularly during the ski season, which drives an intense period of mid-afternoon activity in winter as airlines hustle to turn around aircraft before the onset of twilight. Queenstown Airport has seven jet gates and without the option for aircraft to hold in the air, there have been rare occasions where flights have been held on the taxiway. “The idea of not being able to fly in darkness seems quite odd to anyone coming in from a major city but it’s a struggle for us here. In the winter, we lose two hours in the morning and five hours at night. There’s a pinch point after lunch where we’re trying to get those flights out,” explains Clayton Lightfoot, Queenstown’s Tower Chief Controller. 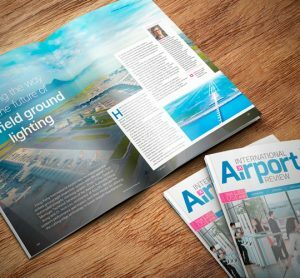 The airport’s lighting upgrade will spread the load more evenly and take the pressure off this critical time. In 2012 QAC formed a working group with technical experts from Airways New Zealand, the country’s air navigation services provider, its customer airlines and risk management company, Navigatus Consulting, to prepare a foundation safety case for evening flights. The level of evidence made it the most extensive foundation safety case ever submitted to the New Zealand Civil Aviation Authority (CAA). The case, approved two years later by both the New Zealand and Australian regulatory authorities, set out 65 controls that would need to be implemented to allow evening flights – most notably the runway would need to be widened from 30 metres to 45 metres and the lighting system extensively upgraded. Airways New Zealand worked with Queenstown Airport and partner airlines to introduce advanced navigation procedures – a first step in enabling evening flights – and is now leading the installation of the airport’s new runway, taxiway, and apron and approach lights. 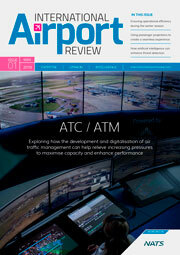 “This is about facilitating extraordinary growth at Queenstown Airport from both international and domestic customers. 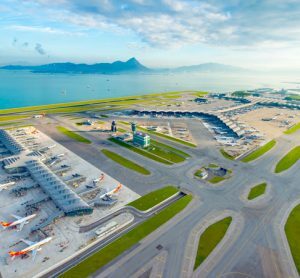 Despite the terrain, we’ve found a cost effective way of enabling this growth and ensuring it is a well-equipped international airport,” Airways New Zealand’s Chief Operating Officer, Pauline Lamb, explained. Both the lighting and runway widening projects have been completed in tandem, with work having started in November 2015. Airline testing flights are underway with the first passenger services expected at the end of June 2016. Queenstown Airport has been voted by tourists as having one of the most stunning approaches, but it commands an equal amount of respect from pilots and aircraft operators. The aerodrome is set within the confluence of three mountain valleys – there are 10 mountain peaks above 5,000 feet within 10km – and it is prone to varying winds and fog. In 2012 Airways New Zealand completed a redesign of the Queenstown airspace and implemented modern fully integrated Required Navigation Performance – Authorisation Required (RNP-AR) flight procedures to improve the safety and the efficiency of operations. First developed by Alaska Airlines, RNP-AR is essentially a GPS navigation system for aircraft that allows them to fly between 3D points in space rather than relying on traditional point-to-point routes. Aircraft with RNP-AR capability are able to fly very precise paths with a high level of accuracy; providing a more consistent, safe and reliable service in a range of weather conditions, whilst increasing airspace capacity and operational efficiency. The RNP-AR system leads aircraft in on a curved approach. The major point of difference in Queenstown is that aircraft are aligning late with runway and reach decision altitude at 400 feet. “Our challenge was to deliver a much safer and more efficient air traffic management system in the Queenstown airspace, with no full surveillance available. The results have been outstanding, with reduced delays and diversions, and pilots and air traffic controllers enjoying the less complex airspace environment,” says Lamb. The $1.65 million lighting package has been designed to fit within Queenstown’s environment and support the performance-based navigation procedures already in place. Risk management consultancy Navigatus led the design. Runway lighting was fitted in 2010 to enhance low visibility day time operations but it isn’t sufficient to support after dark operations. 48 threshold lights and 57 runway edge lights which have been repositioned as a result of the widened runway. The runway itself is bordered by a lake, a river and a small residential development meaning there are few existing visual cues for pilots flying at night, prompting the decision to have PAPI lights on both sides of the runway instead of the standard single-sided design. Touchdown limit lights are a unique feature. These indicate to pilots that they will need to go-around if they have not touched down by a certain point. At 1,777 metres, Queenstown Airport’s runway is relatively short and the surrounding terrain prohibits it from being extended. The space restriction means only 150 metres of approach lighting was able to be installed. The touchdown limit lights, aided by the centre line lighting, mitigate the truncated approach lighting. LED lights were chosen for installation, with the primary benefits being power savings, reduced maintenance and better performance. The airport experiences between two and three snow days each year and a review of its winter operations will be needed. Until now, heavy plant has been able to be used with relatively few restrictions to clear the runway. As well as laying the groundwork for evening flights, the upgrades will give the airport a more robust and durable runway in all weathers. Weekend breaks will be viable all year-round for domestic travellers; business travellers will have more flexibility, being able to make return day trips instead of having to stay overnight; and international travellers will have same day connections into Queenstown. QAC is confident that it will unlock wide economic benefits for the region. 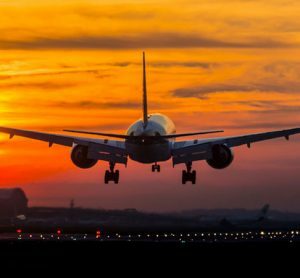 “From a tourism perspective, evening flights will be a huge bonus for travellers and for local businesses, particularly in the busy winter months. Queenstown Airport is extremely popular, but access has been limited,” states Clay. The airport currently employees 350 workers – following the upgrade it will move to a split-shift model, also creating a raft of new job opportunities. The new departure flight paths have provided a large increase in take-off payload – up to 1,700kg off runway 05 for A320 aircraft.